Just a smidge of confirmation from Nokia this is actually true would keep me happy. But at the minute, I don't like listening to rumours. That mock up with the white rear is nice although looks a bit too chunky. I love Nokia!!!!! They will make it!! Am unsure but Nokia is testing 2 different versions of this possible handset. One is Quad Core the other dual core. But if it's quad core then that cannot be until Microsoft pull their finger out and release their next OS update to be able to support quad core and 1080p screens. Not that we need 1080p screens but I think the current Windows phone software limits image quality so I read. 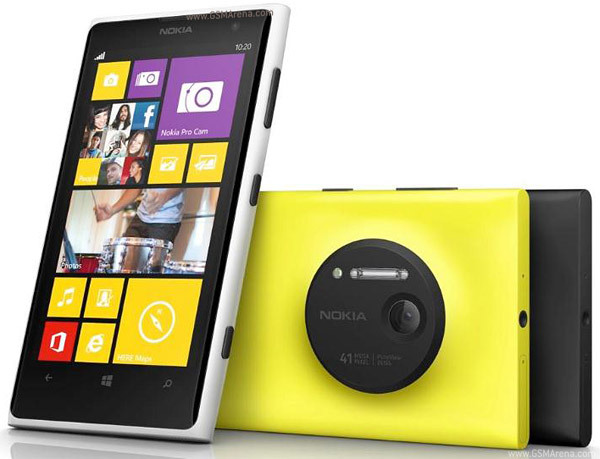 The next Nokia Amber update on WP is going to provide higher image quality with new software algorithims. If that's all we're waiting for - for Microsoft to pull their finger out then they're wasting valuable sales. They could put the camera tech into a 920 and release it. Then later down the line upgrade the rest of the specs. Im sure the camera alone would be a brilliant USP to use against Android phones and iOS. I said this months ago.. the Phase 1 system is a sophisticated combination of hardware optimization and software, it will NOT be easy to port it over to any other OS, since it was designed with an Real-Time OS (Symbian) in mind. It was only a speculation, but as time goes by, its becoming clear that they can't do it.. at least not in an economical kind of way. In fact, they had a better chance of porting this faster to Windows CE (WP7) than Windows NT (WP8). I am really happy that they managed to get the xenon to work on NT (928) .. at least that is a step in the right direction. From here, its all about Microsoft.. they need to provide the platform for the Phase 1 system to work properly. At this point the whole strategy switch is not making any sense.. they are in the same boat they were before the switch: not being able to use top spec hardware, which is what sells phones these days. At least with their own platforms, they had full control, and we got unique phones like the Nokia N9, and the 808.. which is proving to be a pretty amazing device overall. So.. best case scenario will be end of 2013 for a true 808 replacement, at least in terms of camera tech. I have no idea, I cant imagine it being all that hard to implement in WP. People talk about its limitations, but im sure a clever company like Nokia could find a work around. I just hope whatever they do announce regarding this EOS if it exists at all, its camera is better than the 808. I would be pretty annoyed if they released another cameraphone like the 920 which has a Pureview labelled camera, but not actually a proper Pureview camera module like the 808. I suppose its a bit like when Aston Martin released their best car, then a year or two later a car which was cheaper than the one that had been out so long with less power. If you've got some great high tech stuff up your sleeves at least stick it in the best product you can manage at the time. The 808 was probably the best Symbian phone ever made so rightfully got their best camera. The latest rumor is that the phone is 41Mpix, no info on oversampling..
A major US carrier has picked up the phone. Nokia will show the phone at Microsoft's build conference in San Francisco. Wow this sounds like exciting news indeed, I'm looking forward to this one. How can a major US carrier pick up the EOS when it's not even announced yet? ?